I’ve been eating more lentils and pulses this year. They are delicious and full of nutrients, a brilliant source of protein, iron and fibre (helping reduce your appetite if you’re watching your weight, which you might be in January!). Serves 2 generously. A very quick and tasty lentil and leek dish flavoured with fresh thyme and dried fennel seeds. Delicious on it’s own or as a vegetable side dish, and surprisingly good cold too. 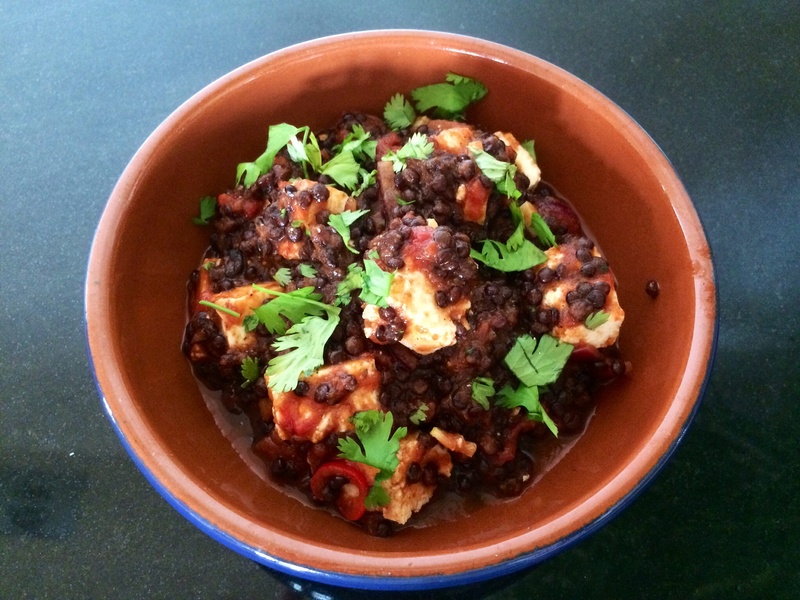 Nice and spicy lentils with Paneer cheese. A nice one pot supper for Meat Free Monday. Tomatoey lentils spiced with garam masala and chutney and some nice chunky Paneer cheese. Low fat, high protein and a good source of fibre! I’m making up some of this delicious and versatile salad to do 2 meals. It’s a great base to add lots of other things to and really good for a lunchbox for work. 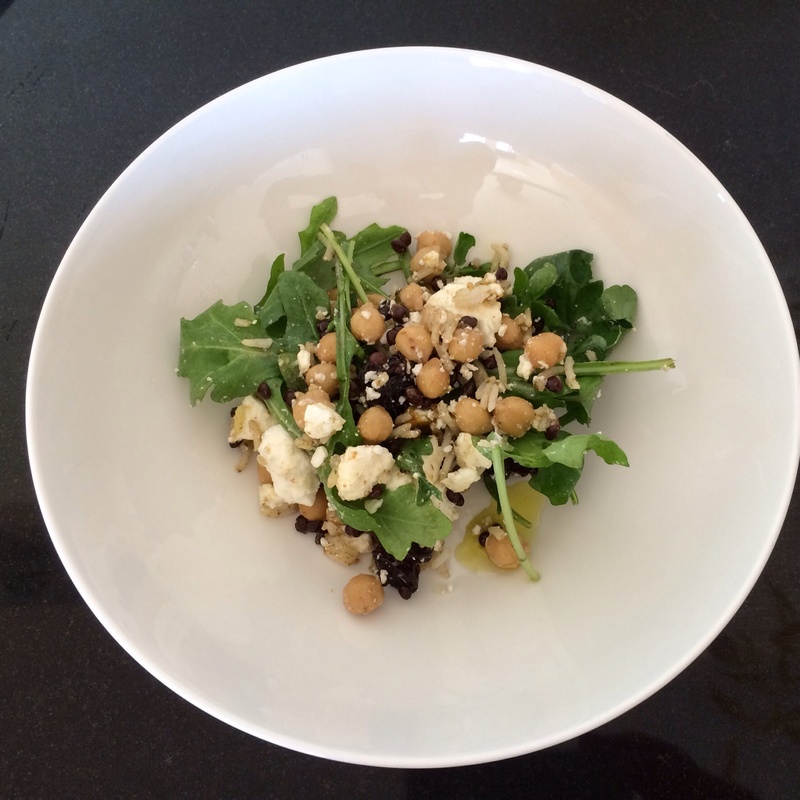 If you only have a little left over from a supper you can run some rocket through it, chickpeas, feta, mint even a little cold chicken, black olives, pinenuts. The possibilities are endless!